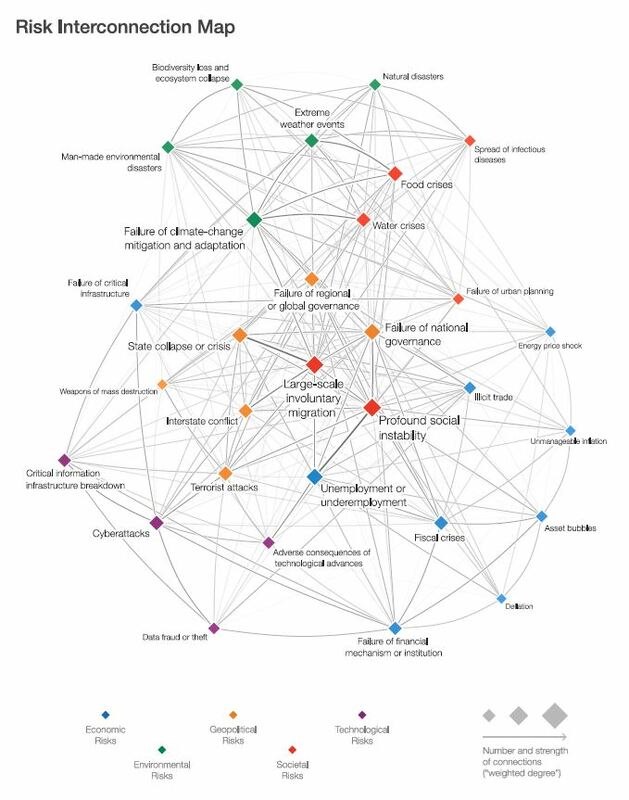 Once again in 2017 the World Economic Forum highlighted in its 2017 Global Risks Report the interconnections that exist between some of the most significant challenges that are shaping business and society in the 21st century. Those interconnections are represented below in their Risk Interconnection map. Globalisation has lifted millions of people out of poverty by enabling people in emerging countries to take part in world trade. Deregulations and privatisations have encouraged competition and innovation, leading to declining prices and higher quality products while urbanisation and industrialisation in emerging economies have enabled 3 billion people to generate an income of at least $10/day. What makes the One Planet MBA unique? Watch a short interview with Prof Robin Mason, Pro Vice Chancellor, University of Exeter Business School and find out what makes the One Planet MBA unique, and how modern-day leadership is emphasised throughout the duration of the programme. 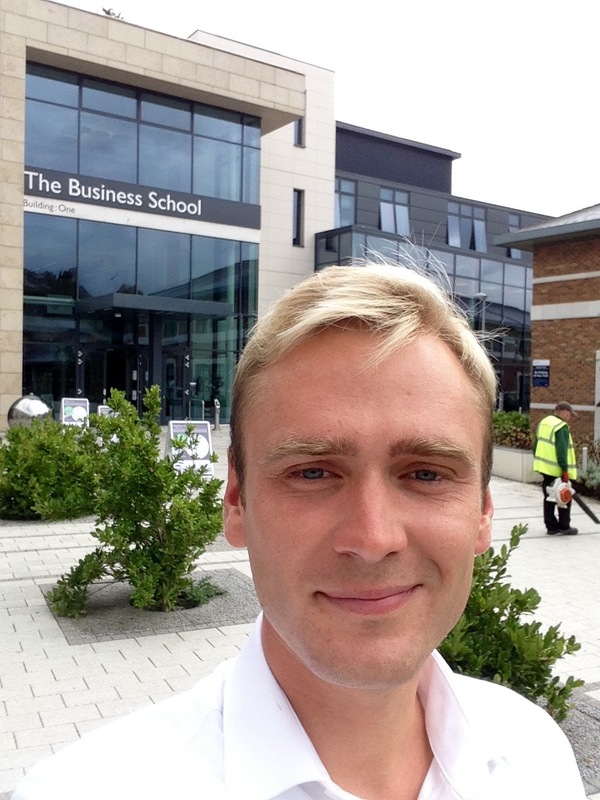 Caspar is an MSc International Management student at the University of Exeter Business School. He was invited to take part in the One Planet MBA‘s two-day workshop on Negotiating, Collaborating & Partnering, as part of the MBA’s flagship Personal Transformations module. As a student with a strong drive to succeed I was powerfully motivated to learn negotiating. After attending an introductory MBA Masterclass I was keen to see more of what the One Planet MBA was all about. 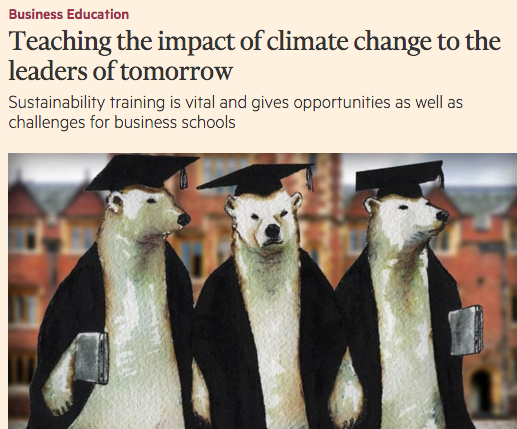 That’s the great thing about Exeter University, the lecturers empower you to realise your ambition, none more so than Nicolas Forsans, One Planet MBA Director. After some persistent negotiating (!) Nicolas kindly agreed to let me take part in the workshop and collaborate with fellow MBA participants over two full days. I was excited to be able to see world class teaching in action with powerfully practical benefits. What happened yesterday had been anticipated for a long time. The opening of the United Nations’ 21st Conference of the Parties (or COP21 in a nutshell) in Paris yesterday evidences how urgent the need to tackle climate change has become. A recent paper in Nature shows how horrendous the economic and human cost of climate change would be – with about a quarter of the world’s GDP wiped off by 2100 and the burden of the cost falling onto the world’s poorest countries left to pay the price for it. While the Financial Times gave editorial prominence (subscription req’d) to its coverage of the opening of COP21, it also features an article more focused on MBA programmes that that deliver a more sustainable approach to business and management education. equips our participants with the skills to advance their careers and explore new opportunities for themselves. 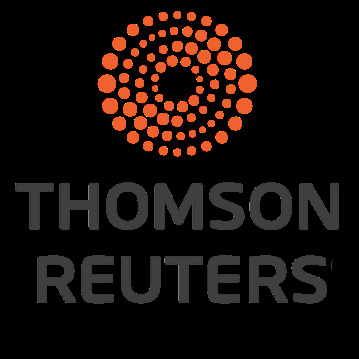 As part of our partnership, Thomson Reuters supports the development of our MBA participants in their quest for reputation through thought leadership. For the past couple of years Emma has been heading the MBA’s Admission Office, interacting with hundreds of applicants for the One Planet MBA programme. 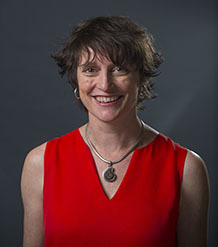 She helps new applicants put together a strong application, then advises and supports them until they reach our campus at the start of each year. It’s been an exciting, yet challenging start of the year for our full time and executive MBA participants. The first three weeks consisted in a unique, pre-MBA Foundation programme – covering all the basics to enable them to make the most of the year ahead. With sessions delivered by our One Planet MBA team consisting of academics and professionals, the focus was on the transfer of professional and study skills.